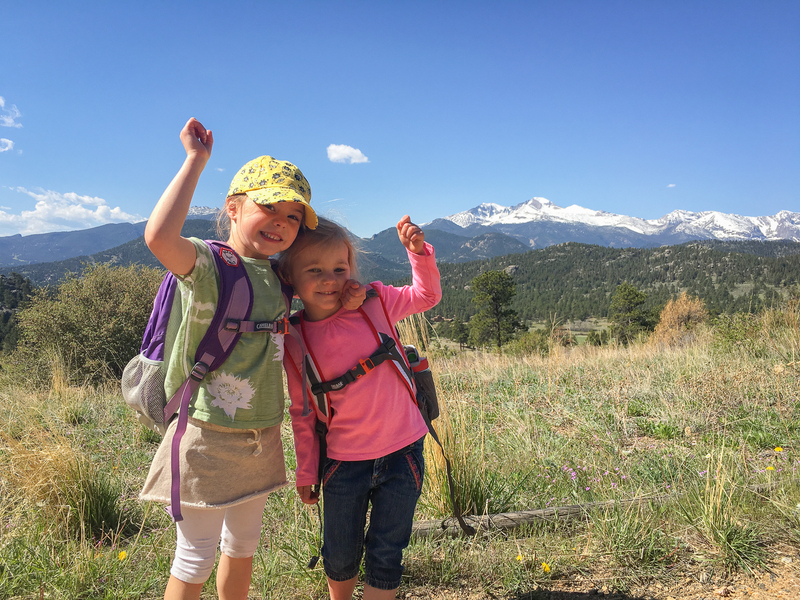 McGregor Mountain Lodge Blog: The Best Hikes With Kids in Estes Park! Letting 'er rip on the trail. It's that time again! Loading up the mini van, well, maybe you're not a mini van kind of person... so let's say you're loading up the covered wagon, the chariot, your trusty steed... But maybe it is a mini van, who cares... or if you're a Texan, a suburban... Either way, you're packing up and heading west! The summer vacation is here! The kids are out of school, you're ready for a break from the daily routine, from work, from shuffling kids to school, soccer, gymnastics, dance, whatever! You need a break! And it's here... SUMMER! You make the winding, scenic, drive up the canyon trying to soak in the peaceful views amid the pleading questions of "are we there yet?" or the perfect timing of a frantic "I need to go potty!!" Don't worry mom and dad, you're so close! You drop into Estes in awe of the surrounding high country and the miles sitting on your hiney are quickly forgotten. You just want to get out and smell the fresh air and feel that cool mountain breeze blow through your hair! You settle into you cabin here at McGregor Mountain Lodge and can't wait to get out and explore these mountains! Look at 'em. Right. Out. Your. Front. Door. It's here! Summer vacation! But, where do you go? 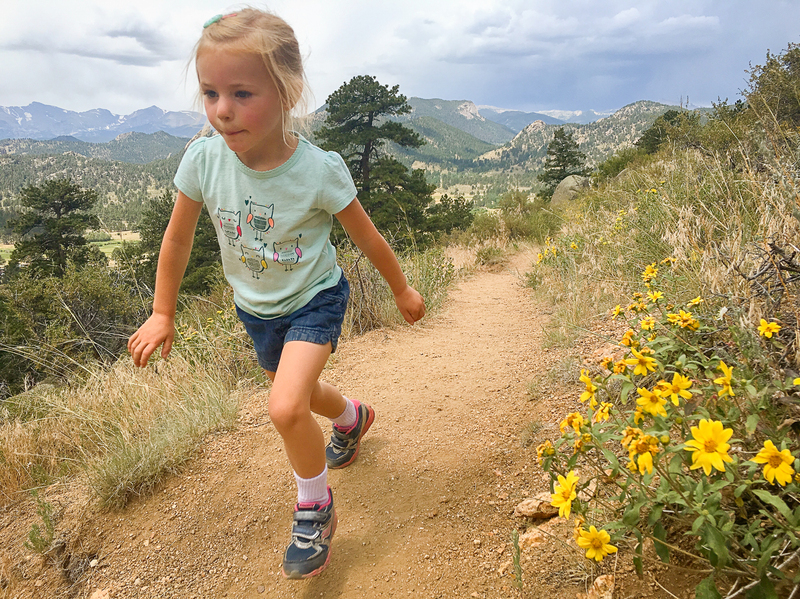 You know the kids will enjoy getting out, playing in the dirt, getting mud on their face, watching the wildlife, and wearing themselves out on the trail. But we all know it's a fine line. If your hike isn't long enough or interesting enough you'll have bored kiddos on your hands later in the day. If the hike is too long or too hard you'll have to try to listen to the birdsong through whiney protests such as "my legs hurt!" or "I'm soooo tired!!" We've all been there. So where do you go? What hikes are the right fit? We definitely want to make sure the kids have a great experience all around but we also want to ensure that we get to enjoy the trails too. Well, we're here to help. Below we have a variety of hikes that can please any level of little hiker while leaving mamma and daddy hiker happy and fulfilled as well! Let's hit the trail! The classic view from Emerald Lake. If there is a "go-to" area in Rocky Mountain National Park, this is it. It provides easy access to some of the most incredible scenery that RMNP has to offer. However, there is a spiderweb of trails so picking the right hike for the little ones is essential. Bear Lake itself is only 350 feet away from the parking area. It's in a gorgeous setting with high mountain peaks (Flattop and Hallett to name a couple) creating the back drop. There is a flat path all the way around the lake and it's only a half mile long. The photo opportunities are endless and this is a great, short, outing that doesn't skimp on the wow factor. There are also a lot of chipmunks scurrying about that kids of any age will love to see! Please, please don't try to feed them. From Bear Lake, you will see a sign pointing to Nymph Lake, among others. Follow the well marked trail for a half mile. While not a steep trail, there is some elevation gain. About 250 feet total. The trail will alternate between ascending and flattening out. Near the lake, the trail flattens nicely through the forest and you pop out right at this lily pad adorned, charming, body of water. There are a number of benches perfect for resting those tired little legs or having a picnic lunch. Let he kids explore the shores, paying mind to the restoration area, which is well marked. There is also a really cool old rootball from a toppled pine tree that will capture the kids attention, for sure! Head back the way you came to return to Bear Lake, or continue another half mile to the spectacular Dream Lake! Do you want to see that classic RMNP scene you know and love? Want your mini-me to see it as well? Just keep hiking about another half mile beyond Nymph Lake and you're there! The trail is actually a bit less steep, gaining only an additional 200 feet (450 feet total from Bear Lake) to reach Dream Lake. And it's well worth it! If you're thinking of showing friends and family how adventurous your tribe is, this is the spot. Great for getting that perfect Christmas Card photo, Dream Lake will provide the scenery to really impress your Facebook Friends and your legion of Instagram followers! Hallett Peak and Flattop Mountain dominate the view and command a host of 'ooooo's" and "aaaaahhhhh's." Don't just limit yourself to the first little spot the trail takes you to. Be sure to walk the shores of the lake along the trail. It's truly stunning and there are rocks to play on, chippies to see (again, don't feed 'em), and you'll even spot some trout swimming in the crystal clear waters. For the smaller kiddos, this is about the limit. My 3 year old hiked all the way up, but we had to carry her about half way down. Now that she's almost 6, this isn't a problem at all. We may still hear the occasional complaint of being tired of walking, but a fun game (count the flowers or find a bug on the trail) easily gets her mind off of it. And don't forget that the little ones may surprise you! Our youngest only need a challenge to keep going. Once we hear "I'm so tired" we just challenge her to a race and before we know it she's RUN a half mile down the trail! She's 4! If your kids are a bit older (6+) or they're just having a good day, keep on going! Emerald Lake is about another .7 mile up the trail and gains another 200 feet (750 feet from Bear Lake). This section of trail even feels a little different as you climb higher into the alpine. The vegetation is more lush, you'll hike beside little cascades and waterfalls, the ground is soft and spongey, and the scenery keeps getting more dramatic! You'll soon be on the shores of this pristine lake tucked into the heart of Tyndall Gorge with both Hallett and Flattop almost right on top of you! These are the kind of scenes that really get their hooks in you. That force your imagination and inner sense of adventure into overdrive. You'll want to stand on those summits, and your kids will too! Some fun questions we ask our girls when we're in places like this are things like "how would you climb that mountain?" "Which way looks the easiest to the top?" "What animals live up there?" "What will you do when you make it to the summit?" These questions and thoughts really get their minds going and it's fun to watch them realize they are a part of this magnificent landscape as well! While Bear Lake is an awesome place to visit, it is so for good reason! And everyone else thinks so too! It can get crowded pretty early in the day so here are a few tips to maximize your enjoyment of this little corner of RMNP, especially with kids. Go early. If you can get to the parking area by 8:00am, you should be able to find parking. Snacks! Bring snacks! And more than you think you'll need! These will come in handy as motivation for the kids (I'll give you your fruit rollup and Sunny D when we make it to Dream Lake! ), killing time on the shuttle, or a treat for the car ride back to town. Bring a change of clothes! 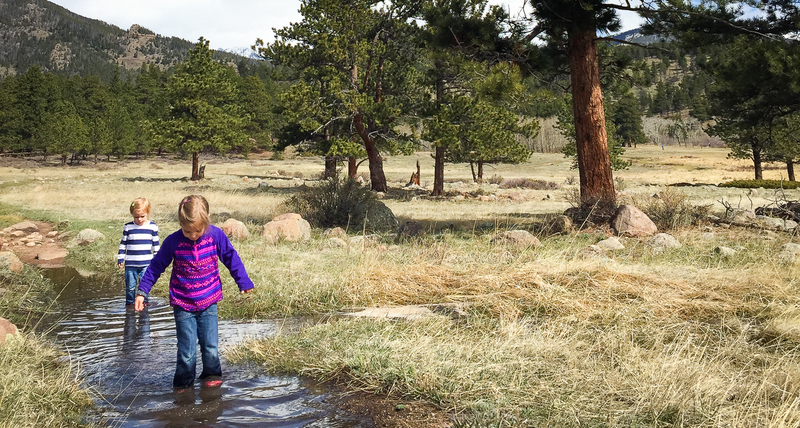 In the Bear Lake area there are lots of opportunities for your kids to splash in little streams, play in puddles, and just get dirty! If you want to head into town after your hike bring them a change of clothes! At least a change from the waist down, including socks and shoes! It will make your time poking around town after your hike much more enjoyable! Splashing around in Upper Beaver Meadows. There is a lot of places that could classify as central RMNP, but we just highlighted a few spots around the Moraine Park area. This is a wonderful section of the park characterized by sprawling meadows and more gentle terrain. Perfect for those little legs! 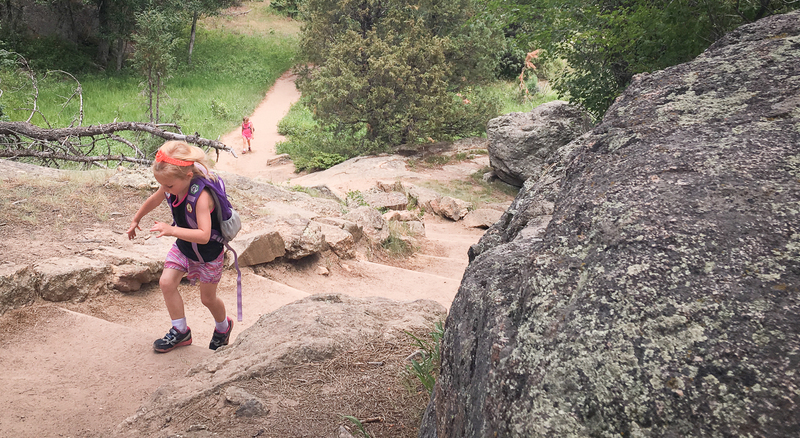 Moraine Park offers a lot of great hiking options for families! On the west end of this sprawling meadow is the Cub Lake Trail Head. The lake itself is 2.5 miles from the trail head, and a lot of kids can make it to the lake with little trouble. But, even if that is a bit too far for your little hikers, the trail is beautiful regardless of when you turn around. It begins by following the edge of Moraine Park with expansive views east, into the meadow. There is typically a lot of wildlife around here including elk, mule deer, chipmunks, and tons of birds. There are a couple of creek crossings as well. The trail rolls over rock outcroppings and through grassland before turning west and climbing toward the lake. Once you get to the lake you'll be greeted with a picturesque scene and Cub Lake will be the star of the show! Ducks will most likely greet you and you'll notice the unique feature of an almost perfect circle of lily pads in the middle of the water. You're kids will love this hike! Getting it done on the Cub Lake Trail. The Fern Lake Trail is located just a bit past the Cub Lake Trail. This is a perfect hike for the kids as it is very scenic and not steep! 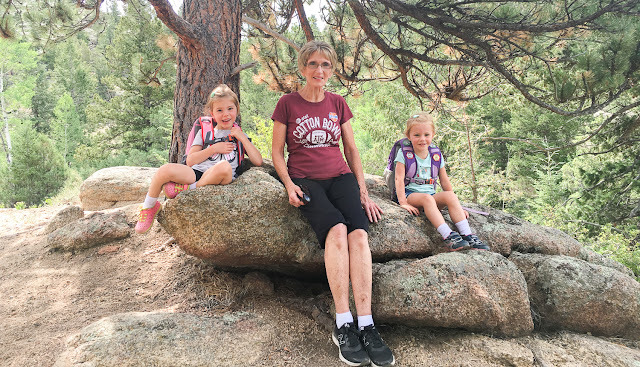 The main destination for families along this trail is The Pool, a wide section of the Big Thompson River that provides a beautiful scene amid cascades and granite outcroppings. The trail gently undulates beside the river through a mix of sub alpine and montane forests. Maybe halfway you'll come to Arch Rocks, a small maze of huge, house sized, boulders. It's a great place for kids to explore and play among the little nooks and crannies the boulders provide. Once you make it to The Pool, pull out the picnic lunch and enjoy this classic RMNP spot! If you want to continue to Fern Lake, just follow the signs for another 2.1 miles and another 1,100 feet of climbing. 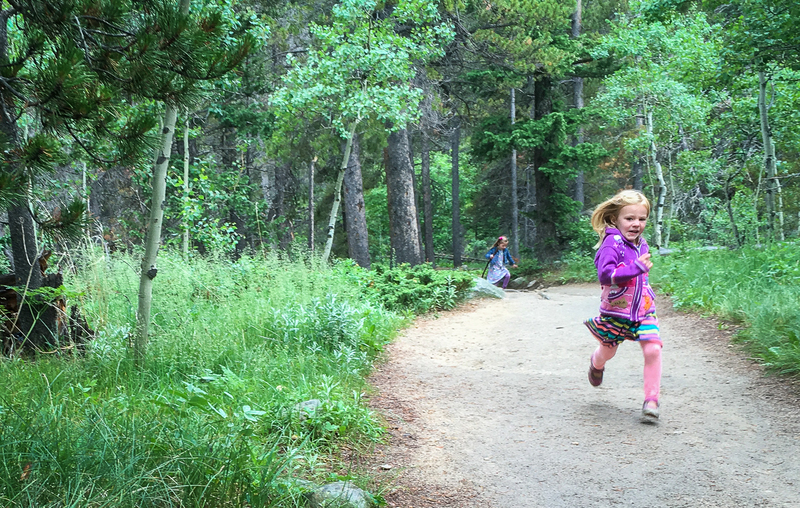 It's a harder stretch of trail, but well worth it if the kiddos have it in them! This is more of a stroll than an actual hike. Though you can hike for miles and miles from this trail if you so desire, it isn't typically the starting point for any popular destinations. Upper Beaver Meadows is a large meadow near the Beaver Meadows Entrance to RMNP. We like to go here when we don't have time for a proper hike, but the kids still want to explore the landscape and get a little dirty. There are often elk in the meadow and it's a perfect spot to take it easy and just let the kids run free without a destination in mind. There are great picnic spots and a lot of good photo ops here as well. This is kind of a hidden gem simply because it's not a main trail head so most folks to bother to go here. Well, they're missing out! Visit in the morning or evening for cooler temps, more wildlife, and better light for photos! Fun for the entire family on Lumpy Ridge, Rocky Mountain National Park. Lumpy Ridge is a fantastic option for your family! You can make it a challenge by heading up to Gem Lake or take it easy on the rolling Black Canyon Trail. But either way it's going to be stunning and you're only minutes from town! Gem Lake is a great option for kids. While it isn't exactly a long trail, note that it is quite steep, gaining over 950 feet in elevation. This is a very popular trail for several reasons. It's very close to town, it's beautiful, and it offers unique views of both Estes Park and the continental divide within Rocky Mountain National Park. Once you get to this little gem of a puddle, take a load off, soak your toes, and have a picnic on its sandy beach! From the Gem Lake parking lot, follow the sign for the Black Canyon Trail. It starts off steep, but quickly levels out and just rolls for quite a while. It takes you behind MacGregor Ranch and to the base of many of the formations along Lumpy Ridge, including the famous Twin Owls. It's perfect for kids and a staple in our household. It's super close to town, perfect for kids of any age, and beautiful no matter how far you decide to go. There are good picnic spots and great locations for those elusive family photos. Having some fun on Lumpy Ridge. Hopefully you found this post helpful and it gets you moving in the right direction! We completely understand that the logistics and options while hiking with children changes the itinerary a bit. You need to factor in every family members age, strength, and tolerance for being on the trail for an extended period. It can certainly be a learned skill for the youngsters and the more you get out and hike, the more they enjoy it and the longer they can go. So maybe start out with a short hike, keep it fun without forcing the destination. If you have to turn around early, no problem! Enjoy being out in the mountains with those most important you and hopefully they will fall in love with this landscape just as you have! As always, feel free to call us or shoot us an email with any additional questions you may have! And when you're here, stop by the lobby if you need directions to trail heads or any more info! We hope to see you soon and HAPPY TRAILS! Below are some links that you'll find useful. 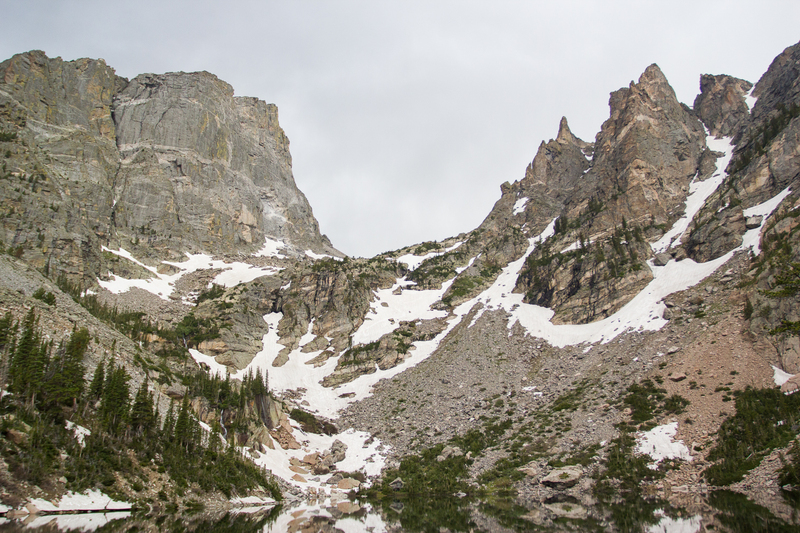 Rocky Mountain National Park - Get the lowdown on all things Rocky. Junior Ranger Program - This is a great way to get your kids more involved on the trail! They can earn their Junior Ranger Badge, get to meet and talk to park rangers, and play a role in leading the next generation through conservation and a love for these mountains. Youth and the National Park - Give your kids a head start. Let them learn about this special place before they arrive and they'll have a bigger appreciation for it once the walk the very trails and see the very sights their learning about. More Kid Activities - VisitEstesPark.com has some more ideas and advice to offer! Additional Kid Hikes - RockyMountainNationalPark.com has some more suggestions for great family hikes! Summer is a great way to unwind and take that much needed break. But finding activities that are fun for children and adults alike are hard. Hiking seems great. Thanks for the post. I’m sure you helped many parents. Thanks for sharing such an interesting geographical information for tourists. There are very nice places which are still not known by the world. Summer is a great way to unwind and take that much needed break. But finding activities that are fun for children and adults alike are hard. Hiking seems great. Thanks for the post. I’m sure you helped many parents. My team of academized really likes your work.